I was testing a pattern the other day and decided to use some Halloween-themed fabrics I've had for a while. Ohhh... I liked it! This is the runner on my design wall. 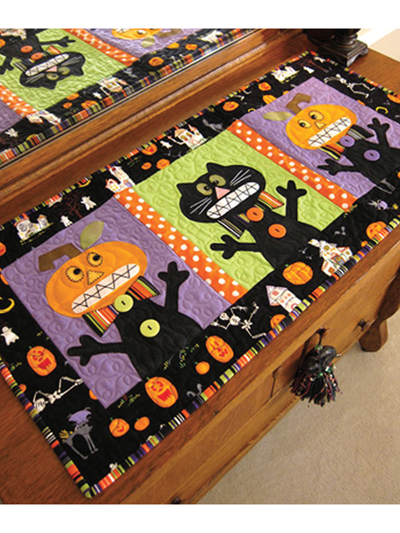 I still need to quilt it and will do so just in time for trick or treat season. 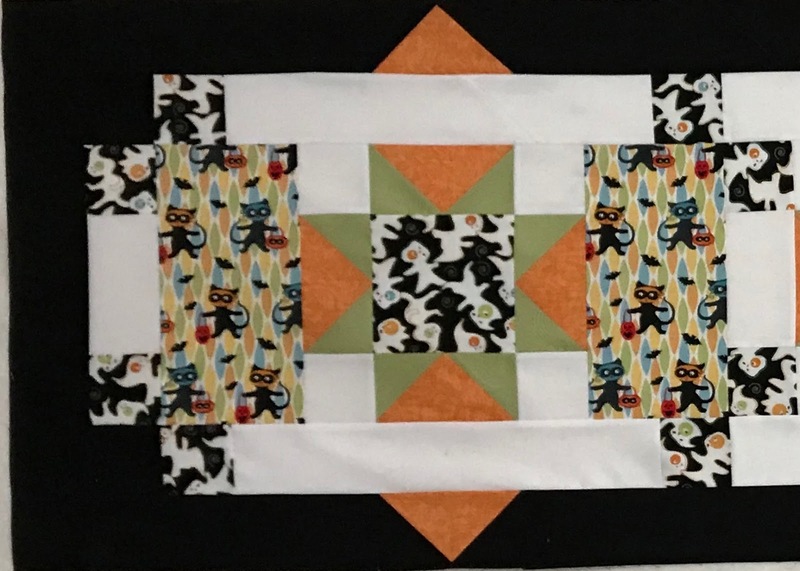 I cropped the photo above so you can see the fabrics in the rectangles next to the block. I think my grandsons would love the little ghosts. I don't remember the fabric line but know it had a panel (see it here) because I made a quilt with it. 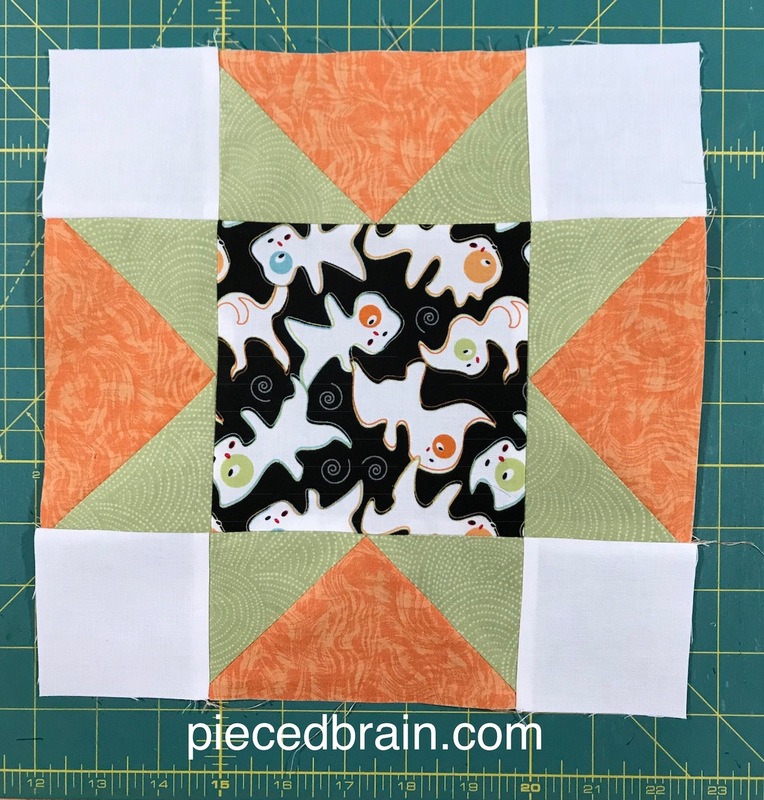 If you are looking for quick projects for Halloween, the Eeeek! table runner above is super cute! You can download the pattern from this affiliate link at Annie's Catalog. 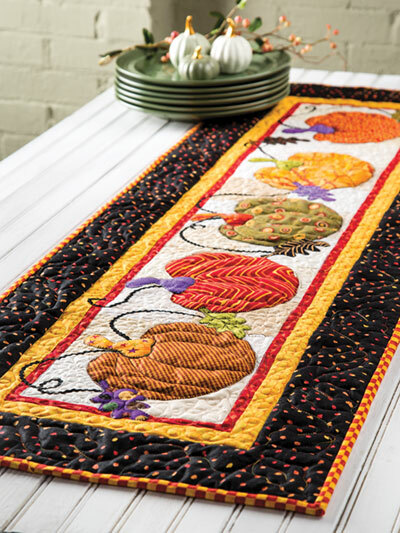 Here is another table runner, this time with pumpkins and rick-rack, called The Best of the Pumpkin Patch, also downloadable from Annie's Catalog. And now, back to the scheduled programming of pattern-writing. I hope your Thursday is fantastic!